I will admit since we have been transitioning my little one to his own bed it has not been easy. I have always been told a bedtime routine helps. We have started to get him on a routine and it does seem to be helping. One thing we have started is a bedtime story. My little one loves to be read to and I find it settles him down. When I was introduced to the book Time for Bed, Baby Ted and learned about the story I was looking forward to sharing this book with him. Besides a great story about being a big boy and getting ready for bed, it includes Ted's Dad, my little one is a real daddy's boy right now so I knew he would like that. Besides a cute story the illustrations done by Kay Choraoare fun and colorful ! It’s time for bed, but where is baby Ted? He’s not baby Ted! Try and guess what he is instead. Whether baby Ted is pretending to be a snapping crocodile, squeaky mouse, or prickly porcupine, in the end he is big boy instead and gets himself ready for bed. With a SNAP and a WRAP and a SQUEAK and a SNEAK, and a little help from his loving father, Ted gets into his pajamas, brushes his teeth, and snuggles under the covers for a good night’s sleep. The author is also running a fun contest on her site called "Bedtime Hero". One lucky grand prize winner will receive a Bedtime Hero kit, which includes six Bedtime Hero badges, two bookmarks, a postcard, one cuddly knit froggie, and a signed copy of Time for Bed, Baby Ted. 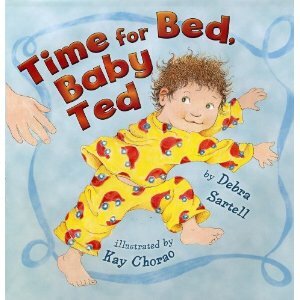 Two runners-up will receive a copy of Time for Bed, Baby Ted. Check it out HERE. 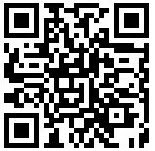 Visit Debra Sartell’s website and tell me something you learned. One winner will be chosen ! I will be using a random number generator to select the winner. Contest ends at 11:59pm CST on 5/12/10. If the prize is not claimed in 48 hours a new winner will be chosen.Contest open to U.S. residents only. I learned she was born in Clarkston,Michigan. I learned that her favorite picture books as a child were Dr. Seuss and she loved Pippi Longstocking! I like you on FB (jemme elle). I learned that Debra believes in fairies. Dr. Seuss was one of her favorite authors when she was younger. i learned she loved dr suess books as a kid! Debra's favorite memories of her dad are of him wrestling with all four of the kids at once. debra was born and raised by a single mom in a small town in Michigan called Clarkston.